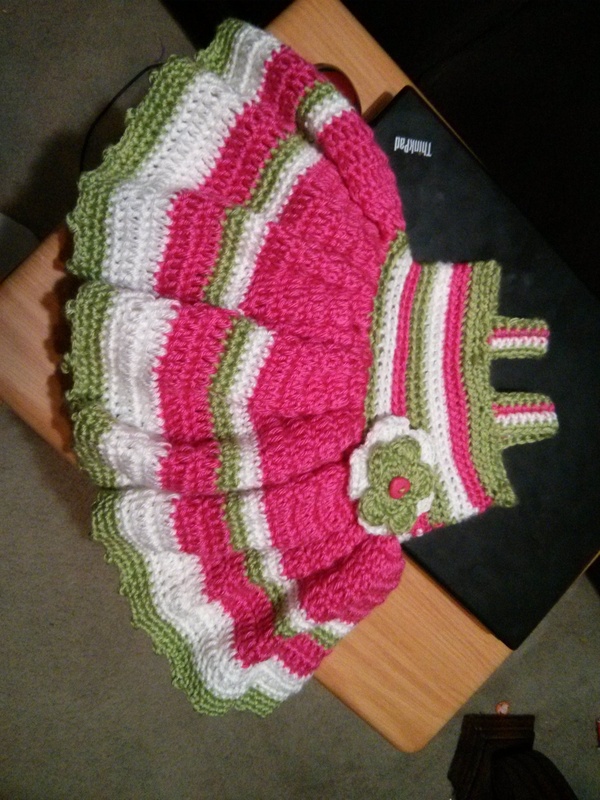 Our top featured submission is by Melissa from KnotUrGrandMa’s Crochet. She has made this cute little baby dress following a You-Tube video! I can only picture the sweetness that is going to wear the precious summer dress. Thank you for sharing Melissa! It’s a great submission and well deserving of being featured! The next submission hits close to home. 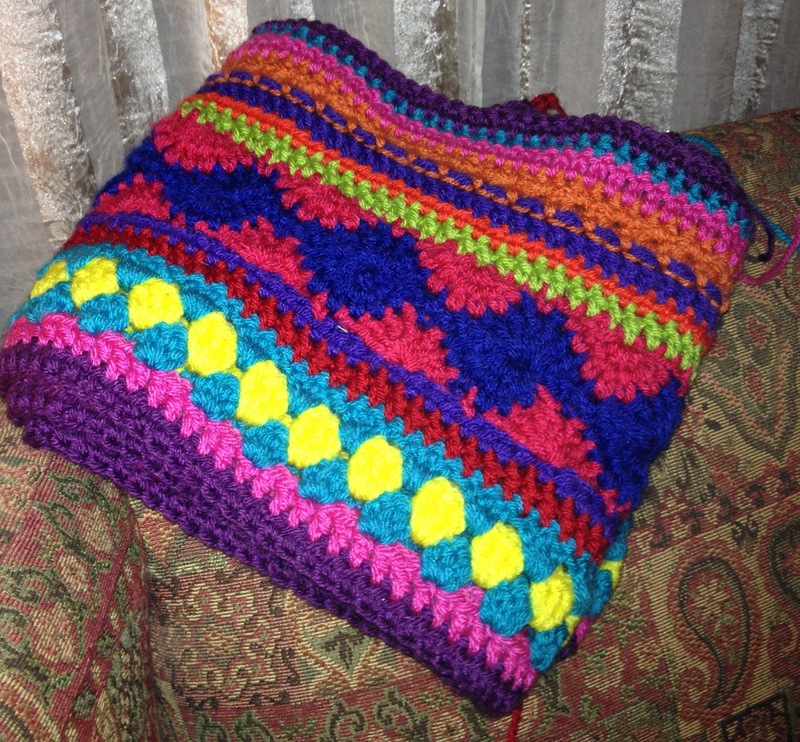 My sister, Kandi, is working on this beautiful afghan. She’s on row 30 and has about 70 more to go! There are so many stitches in this blanket that keeps the eye captivated. It’s really wonderful to share my love of crochet with her. Thanks for showing off your talents sis! Now go grab your I’ve Been Featured button for your blog!